Advanced Systems Group (ASG), the Denver-based IT Consulting, Integration, and Project Management firm, today announces the major expansion of its Data Center Relocation Services. Data center relocations are sometimes required as a result of mergers, acquisitions and disaster recovery requirements. Other times, companies seek data center relocations to consolidate their resources, virtualize their IT environments and reduce, not only their hardware needs, but also limit their power and cooling costs. As a result, data center moves are becoming increasingly more necessary and frequent. To address this growing demand, ASG moved to expand its data center relocation services, focusing efforts on training technical experts to thoroughly plan for contingencies and potential problems in order to minimize risk and potential issues, while maximizing customers' business uptime. "Recently, we relocated a data center for a large financial services corporation in Colorado," says Ted Burns, Director of Consulting Sales at ASG. "This corporation originally approached another company that refused to do the relocation, predicting a server failure rate of 70 percent. ASG, however, was able to safely and efficiently relocate the data center -- without a single server failure -- meeting the customer's 100 percent uptime requirement. That's a significant accomplishment for ASG, and we're very proud of that success." ASG now offers a variety of data center relocation services. All ASG relocation services include proven methodology and detailed documentation to create comprehensive plans to relocate production data centers from one location to another without endangering any data or critical services. "Planning the move for our legacy data center was complex. There were data dependencies that were not well understood," says Michael Alessi, director of IT at Hydro Gulf of Mexico. "ASG analyzed the entire environment and discovered that our business-critical data assets -- large seismic datasets -- were distributed throughout the storage environment. These critical assets could easily have been corrupted if ASG had not discovered their locations and handled the situation properly during the move." To feature the recent success with their data center relocation services, ASG is releasing a special promotional video, available at http://www.virtual.com/dcmoveblues. 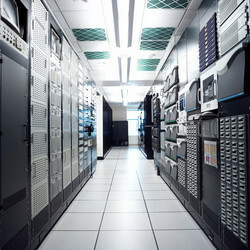 ASG has completed numerous successful data center relocations of IBM, HP, Sun, EMC, HDS, Cisco and NetApp environments. In addition to its data center relocation services, ASG also provides complete Information Technology (IT) solutions including comprehensive consulting services, storage and data management solutions, assessments and implementation services. As part of all its services, ASG focuses on customer needs, customizing unique solutions for companies to successfully address their particular IT challenges. With more than 27 years experience, Advanced Systems Group (ASG) is a leading provider of enterprise IT consulting, architecture services and complete IT infrastructure solutions. Headquartered in Denver, Colorado, ASG also has offices throughout the western United States. To learn more, visit http://www.virtual.com.